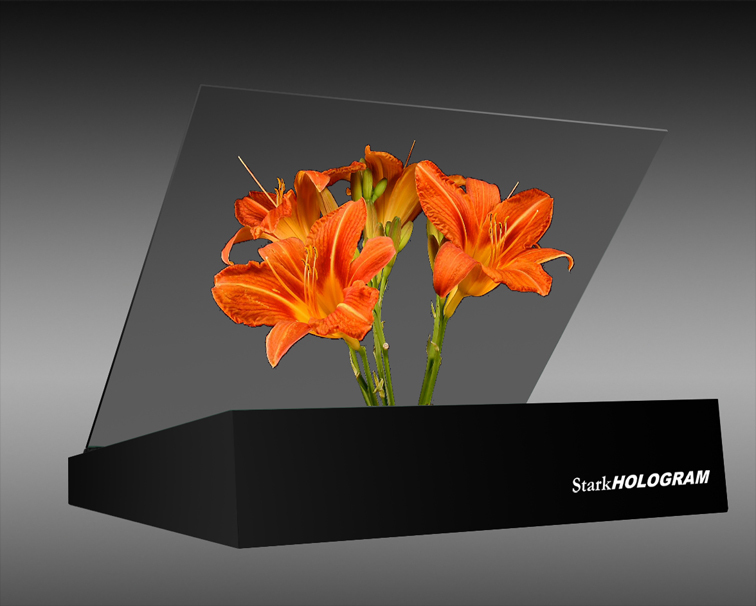 The holographic effect is achieved using special technology developed by Stark. 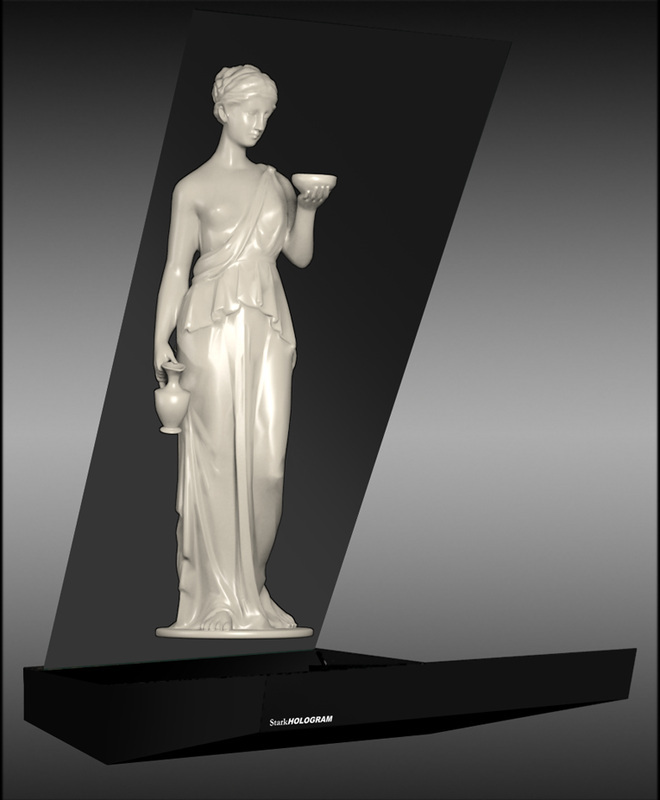 This technology offers excellence luminosity and very high definition. The Stark UltraBright system uses a sophisticated method to process images, allowing the 3D effect to be percieved without the use of special eyeglasses. This results in a practically "invisible" technology. The UltraBright effect offers great spectacularity, even in bright environments. 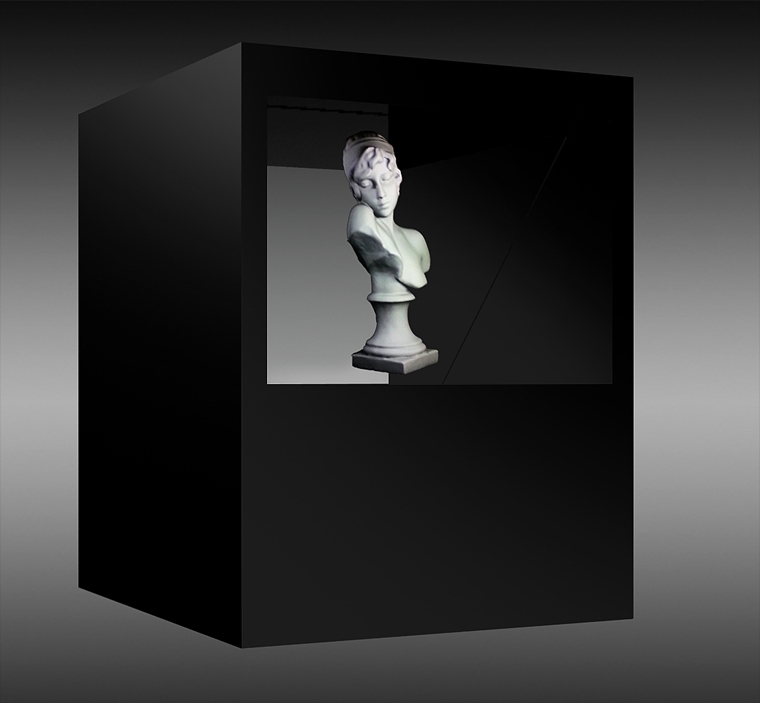 From life-size holograms to the ex position system, there are various models and sizes to fit the needs of every customer. 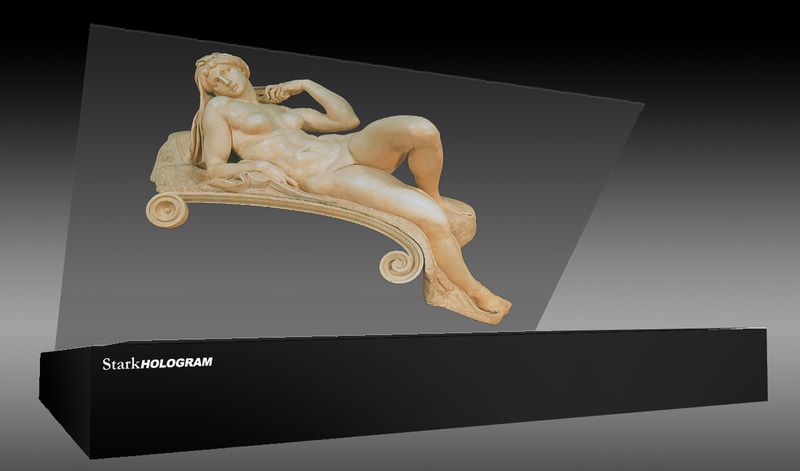 - virtual 3D ex position of an unvailable original ( archeological find, vases, buildings, etc. Interactive solutions are also available.